How to buy Premium Business websites on Flippa? Homestartup domainsHow to buy Premium Business websites on Flippa? Startups are creating buzz in the market like wherever you go, you will have found lot of street vendors trying to capture the market with some unique idea. It’s all about reinvent ideas into product. In same way, many sellers are selling ideas on flippa. So, better to avoid them. There must be some points which you should follow before buying premium websites from flippa without getting scammed. Have you ever thought why sellers are selling their profitable business? what marketing they did to reach here? Where they invested their money? A lot of similar questions are there, which everyone wants to know. Many such questions are still unanswered. So, as an investment myself I am trying to answer some of these questions. Before buying any big business website, consider yourself as an owner of the website which you are about to buy. Think from business perspective, if website is matching points mentioned below then you must buy the business. Before starting any business, you need a business name, it is such that which describe your business. The business name with top level domains will mark the starting of your business. For Example- Paytm.com (It is Pay+ Time), Marketing Discounts (Marketing+ Discounts), Accenture (Accent+ Future) etc. Your startup name should be such that it describes your business. Many startups did not research much and decide any name. It is very important for any startup because the exact match searches one gets from search engine will add more advantage to your domain name. Moreover, there are other factors as well like Authority, Age, Scope, Extension, Branding, Business Oriented, Exact searches, competition, ROI etc. Once you have good business name then next step is your product, it must be viable product, solving genuine problems of society and must have some revenue model. You need to do research before starting any business. The research must be to know searches, it gets from search engine, market survey, how your product does in market, the product is for long term or not? Revenue model etc. These are some of the factors. These days, startups are not getting funding because revenue model is not there. You must have minimum viable product with revenue model. Once you have good domain market with viable product having good revenue model then you are in right direction. The major goal is to produce sales which is very difficult step. It is one of the biggest challenge to generate sales. Here comes the marketing and sales team in action. You must find ways for inbound and outbound marketing and must generate sales. If you are missing any of the above steps, then you cannot expect your startup to be successful. These are the golden steps to make your startup run. Always check business with these parameters and once you are satisfied with above points then you should invest in business websites on flippa. Note: I missed some points. I will include them in later posts. 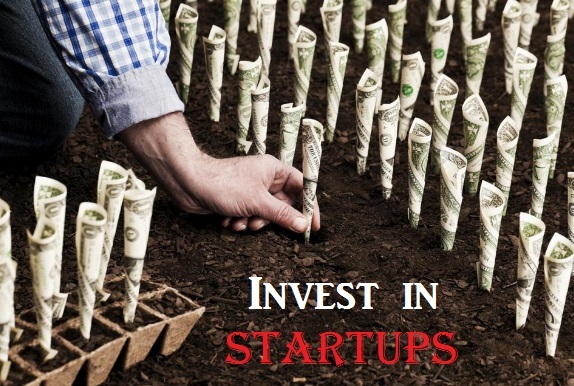 I hope above strategies and steps would help you to according invest in your startup accordingly.